Rev. 5 : 1: "And I saw in the right hand of him that sat on the throne a book written within and on the backside, sealed with seven seals." The Lamb was the only one worthy to open the scroll and release one seal after another, revealing the coming judgments. Rev. 6: 1: "And I saw when the Lamb opened one of the seals, and I heard, as it were the noise of thunder, one of the four beasts saying, "Come and see." The tribulation is the dark day of the Lord, as foretold in the Book of Revelation and other prophetic books. It is described by the prophets. Amos pronounced a "woe" unto those who desired this coming dark day of chastisement and judgments. He wrote, "Woe unto you that desire the day of Jehovah! Wherefore would ye have the day of Jehovah? It is darkness, and not light. As if a man did flee from a lion, and a bear met him; or went into the house and leaned his hand on the wall, and a serpent bit him. Shall not the day of Jehovah be darkness, and not light? Even very dark, and no brightness in it?” ( Amos 5:18-20). We see in Scripture the coming day of the Lord in judgment is not a glorious day for men on earth, but a dark day of God's vengeance, wrath, and judgments poured out. The only ones exempt are the 144,000 sealed Jews, of the twelve tribes of Israel, and the Revelation 12 woman whose destiny is to flee and be protected near Moab, in the Petra/Jordan wilderness (mountain) stronghold. These shall be nourished and reconciled to the Lord, in that day, when God's purpose is fulfilled on earth resulting in the destruction of the wicked and reconciliation of the elect who will know Jesus as their Savior in that day when he hides his face from them no longer. .
God declares, in His Word, He will chastise and judge Israel, along with all the wicked on the earth. This includes all left on this earth at the time the Lamb of God opens the scroll containing the seven seals we see in Revelation 6: 1. Each seal is broken, then released by the Lord to go forth in succession. God will give many over to a reprobate mind to believe a lie and suffer damnation. These are those received not the love of the truth but walked in the broad path leading to self destruction. This was the way they choose, but we know God said only the straight and narrow way is the way leading to eternal life. The horses and riders of the Revelation 6 seal judgments are instruments used by the Lamb, as tools in his hands. The riders and horses personified are God's tools and used as his rod of justice and chastisement on an ungodly world. Like the Israelites of old, Israel and the wicked then on earth, have forsaken the one true God to serve other gods, of mammon, pleasure, and even of drugs bringing an altered mind and a life resulting in demonic manifestations as well as addictions leading to crime, evil, and self-destruction. The wages of sin always result in death. In the Old Testament days, King Manasseh was condemned for his evil sorcery, as was Egypt and their magicians; Babylon, and those in the days of King Nebuchadnezzar. The Word sorcery” is "pharmakeia" in Greek. It is is the root word and source of our English word, "pharmacy.". In the NT days, this word meant “dealing in poison” or “drug use. ” It was used in speaking of divination and spell-casting also, as in Ezekiel and other passages. Paul warned about sorceries in his writings. The sorcerers often used drugs, along with their casting of spells, incantations, and amulets to conjure up demonic, occult, powers. The acts of the flesh are obvious and seen in Galatians as: sexual immorality, impurity, and debauchery; idolatry and SORCERY; hatred, discord, jealousy,and rage; rivalries, divisions,factions, envy; drunkenness, carousing, and the like. Paul said, "I warn you, as I did before, that those who practice such things will not inherit the kingdom of God." In Malachi 3: 5, God declares that he will be a swift witness against the sorcerers. Spiritual Babylon uses sorceries to deceive all the nations around it in the final days. Many will become intoxicated with the cup of evil deception they choose to partake of and drink. Thus, they will drink of the cup of God's wrath He excutes in His righteous justice. The opening of the seventh seal results in total silence in heaven for one-half hour. before further preparation for judgments to come. We then see the preparation of the seven angels, next, given trumpets, and another angel standing at the altar with a golden censer, given much incense that he should offer it with the prayers of all saints upon the golden altar before the throne. The prayers are not heard, but are seen in Scripture. Then we see the fire of the altar put in the censer, by the angel, and cast into there earth. Next, we see silence was broken by the sound of voices heard, thunderings, lightenings, and an earthquake. Then, the first angel sounded the first trumpet with hail and fire mingled with blood being cast upon the earth. The third part of trees on earth were burnt up and all green grass was burnt up after the silence in heaven preparing for the coming storm of judgment to proceed. Just as the plagues in Egypt were literal, so will these trumpet judgments be literal upon the earth. Men will have free will and choose to serve evil instead of good, as we see in this day. The result will be their own destruction and the lake of fire after the seals, trumpets, and bowl/vial judgments on earth.. Greater is He that is in us than he that is in the world. God's power is greater than all power of the enemy. We were called to come out of the world and be separate, a people dedicated to the Lord and walking in His ways of truth. God never said weapons would not be formed against us. However, he did say no weapon formed would prosper. God used the Antichrist and his war against mankind as if arrows or a tool in His hand, when released by the Lamb of God, Jesus Christ, in heaven. From these Scriptures, we can understand that what may seem like terrible natural disturbances (wars, hunger, starvation, death, attack by vicious beasts) are actually the result and expression of God’s vengeance and judgment to fall on men. 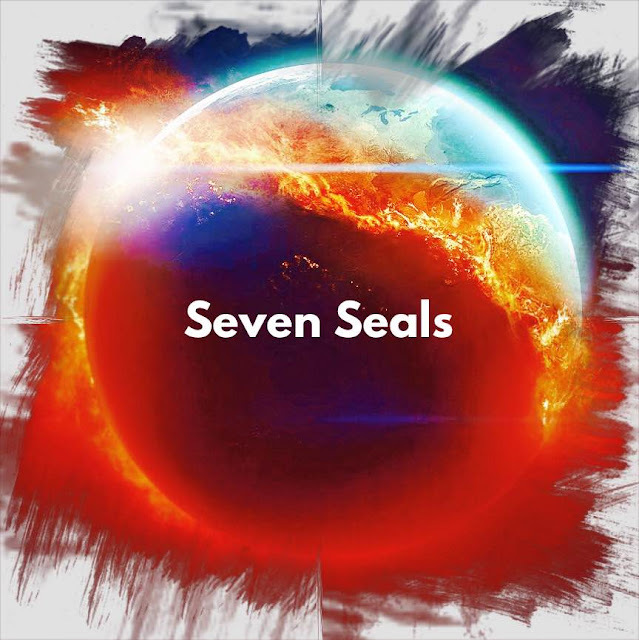 Thus God’s wrath is seen in the seals and the fourth seal of wrath is seen, in Revelation, in advance of all the judgments of the sixth and seventh seals. Ezek. 33: 27-Tell them that this is what the Lord GOD says: 'As surely as I live, those in the ruins will fall by the sword, those in the open field I will give to be devoured by wild animals, and those in the strongholds and caves will die by plague. "For thus says the Lord GOD; How much more when I send my four severe judgments upon Jerusalem, the sword, and the famine, and the wild beast, and the pestilence, to cut off from it man and beast?" Ezek. 14: 21. Ezekiel 5: 17 says, "I will send famine and wild beasts against you, and they will leave you childless. Plague and bloodshed will sweep through you, and I will bring a sword against you. I, the LORD, have spoken." Furthermore, the Lord declared in Ezekiel 12: 16: "But I will spare a few of them from the sword, famine, and plague, so that they can tell of all their abominations among the nations to which they go. Then they will know that I am the LORD.". God has an elect remnant that will be reconciled. Judgment upon the world is coming and God used the Antichrist and even death and hell in his punishments and chastisements. The question is, will you be accounted worthy to escape all these things that shall come to pass and to stand before the Son if man? Our Lord told his disciples to pray to be accounted worthy to do so. Many claim the righteous are subject to the wrath and vengeance of God along with the wicked. However, we read it is the wicked that God is angry with, not the righteous. The faithful believers of his body are not appointed to wrath or the time of Jacob's troubles, for Daniel's people, and for those spewed out into tribulation. Will you be a part of His Church, the body of Christ on earth who will be a counted as worthy? Or, live as the unfaithful who are neither cold or hot, but lukewarm to be spewed or vomited out of mouth into tribulation? The choice is ours. The right choice is to make sure we are walking with the Lord leading us on the straight and narrow path to eternal life. The broad way may look appealing, but it leads to destruction. We must be sure to make our calling and election sure. Has God cast away His people, Israel? Of all the nations of the earth, no other has been so blessed as Israel when she followed after the ways of God. But no other people has been so cursed, as when she forgot her God and followed after pagan gods and idols. Some will say that God divorced Israel and cast her away and the Church has replaced her. But is that true? Has God cast away His people who He brought up out of Egypt in ancient times. 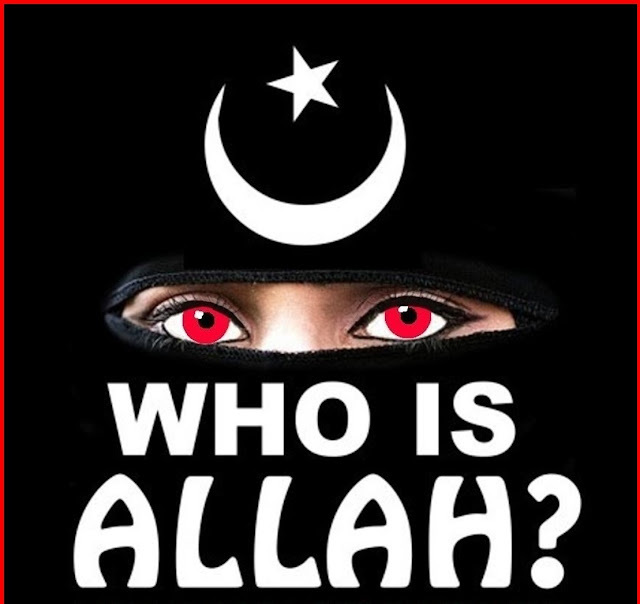 Has He cast off the descendants of Abraham, Isaac and Jacob? The history of the nation of Israel is over 4000 years long and details cannot be fully covered in one offering, but we will touch on the high points of the historical events leading to the modern day establishment of the nation of Israel and the promises made to her. Israel provoked God by her idolatry and following after the gods of the Canaanites who they drove out before them, but not all. God warned them repeatedly through the prophets that judgment and an evil was coming upon them if they refused to repent and come back to the true God of Heaven, Jehovah (YHWH). Till finally, God had had enough of their idolatry and unrighteousness and cast them from His site. “Behold, I am against thee, O inhabitant of the valley, and rock of the plain, saith the LORD; which say, Who shall come down against us? or who shall enter into our habitations? And so it was according even to historical records that Israel was cast away from God's sight for 70 years into the Kingdom of Babylon. But God was not done with Israel and history shows that Cyrus, King of Persia decreed in 538 BC, the returning of the Jews to Judea and authorizing the rebuilding of the Temple, which was nothing out of the ordinary for this unusual monarch (II Chronicles 36:22-23; Ezra 1:1-11; 6:2-5). God used a pagan king to return the nation of Israel back to their homeland. This was Israel's first dispersion and it's return to their ancestor's land. Israel dwelt in the land even under the rule of other nations, including the Roman Empire until the appearance of the Messiah, as they never regained their independence until recent modern times. It was the only time that Jesus allowed the people to proclaim Him their King. Three days later on the day before Preparation Day for the Passover week, Jesus would be crucified on a cross by the Romans with the Jewish authorities as accomplices. From that hour, the prophetic time clock for the prophecy given to Daniel by Gabriel the ark angel stopped. God gave Israel 40 more years from the crucifixion to recognize Jesus as Messiah, until in 70 AD, Jerusalem and the Temple of God were destroyed by the Romans. Then putting down revolts with the last in about 135 AD, Jerusalem was completely destroyed and the land plowed under with salt and the Jews and Israel were no more. Remaining Jewish people were dispersed to distant lands by their conquerors and Israel was basically forgotten with her name changed by Rome to “Palestine” in recognition of the Philistines, Israel's most hated enemy. Due to rising antisemitic prejudices in the nations that harbored the Jewish people, the land of Israel was divided up for a homeland for Jews and Arabs, but almost immediately the Arab-Israeli conflict erupted and Jewish travel to Israel was minimal at best. Enter Adolf Hitler and the Third Reich for the persecution of the Jewish people we now know as the Holocaust where 6 million Jews died in gas chambers, ovens, and other means of extermination such as firing squads. I read in horror the account given by Jack Kinsella in the Omega Letter concerning what happened in central Europe nations such as Poland in cities including Auschwitz, Belzec, Chelmno, Majdanek, Sobibor and Treblinka. Of the millions who entered these camps, only a handful emerged. “Can you imagine the outrage, had the Allies known of these camps? Clearly, the moment the Allies discovered that the Germans were systematically exterminating the entire Jewish population of Europe, the entire tenor of the war would have changed. No matter how critical other military targets may have been, it is difficult to imagine that any of them could be more critical than the death camps. No matter how many lives might have been at stake because of other targets, there was nothing that compared to the carnage of the Nazi death camps. What a terrible shame that they didn't know. Think of the millions of lives that could have been saved, had they destroyed those death camps, even as late as the last year of the war! You read that right. America did nothing. We knew, but we made excuses that the war effort did not allow us to use equipment and resources to save a people targeted for extermination. It was reported by a Jewish man, 19 year old Rudolf Vrba who informed the Allies through a Jewish Rabbi with what would become known as the Auschwitz Protocols of what Nazi Germany was doing to a whole race of people. Our war department had a policy in place and spoken of by Assistant secretary of war John McClory of the standing policy that no military resources should be allocated for "rescuing victims of enemy oppression." I am ashamed of my government duplicity talking from both sides of their mouths when it came to the war effort and the saving of people from Germany's goal of world dominance. But out of evil, came about the fulfilling of a long ago prophecy that God used the evil intents of men for good and for His own purpose. (8) Who hath heard such a thing? who hath seen such things? Shall the earth be made to bring forth in one day?Or shall a nation be born at once? It was and is truly a miracle and reinforcement that God has NOT abandoned His people Israel. Israel has had to defend herself since her inception and rebirth as a nation from her Arab neighbors having gone to war with her time and time again. Each time, Israel has been victorious over huge, seemingly, insurmountable odds that seemed impossible to overcome. “But with God, all things are possible”. Even today, the world conspires to bring Israel to ruin. Her present Prime Minister and the man of the hour to lead Israel in these perilous times, Benjamin Netanyahu has vowed in many speeches of the resolve of his government to never allow the attempted extermination of the Jewish people. "If anyone thought that following the horrific events of the Holocaust this malignant phenomenon would vanish from this world, it is today obvious that he was wrong." "The sad fact is that while we mark the Holocaust Memorial Day here at Yad Vashem in Jerusalem, some chose to attend the show of hatred against Israel held as we speak in the heart of Europe," Netanyahu said. "We will not let Holocaust deniers carry out another Holocaust of the Jewish people. This is the supreme commitment of the state of Israel." Despite the lessons of the Holocaust, the world learned nothing. The burden of Jerusalem remains as heavy today as ever it has over the millennia. 36,If those ordinances depart from before Me, then the seed of Israel shall cease from being a nation before Me forever. It would be well advised that the Evangelical Church such the likes of the “Christ at the Checkpoint” (sic) which began in 2010 as a biennial conference with the idea that Jesus was a Palestinian who could be suffering under Israeli occupation today as he once suffered under Roman occupation. David Neff, who co-convenes an annual evangelical-Jewish leader dialogue, said his Jewish friends have expressed some nervousness over recent gatherings and activities, including Christ at the Checkpoint, which took place in March, 2010. As we approach the end of days and the beginning of the Tribulation, we find more rabid disinformation and bias, and outright antisemitism against the nation of Israel. Do the likes of the above mentioned organization and it's leaders defy God's command to support His chosen people? Are we begging for judgment to come upon them and us, those of us especially who live in the USA as the past supporter of the nation of Israel? That is why I say that God chose POTUS Trump as supporting Israel in this hour, just as He did King Cyrus. There has never been a better friend to Israel, than this present administration, and frankly, I believe it is God's doing. According to dispensationalists, when Jesus was on earth He offered the earthly kingdom to the Jews. Because they rejected it, the fulfillment of the Old Testament prophecies in regard to their rulership of Palestine and predominance over the nations could not be immediately put into effect. Of necessity there came a gap of centuries during which the Christian Church has played a separate and distinctive role designed by God. This happens seven years before the glorious appearing of Christ in the clouds of heaven and his coming rule and reign on earth, when His Feet touch the Mount of Olives. God has set aside Israel temporarily for the Church Age, as we are as mentioned a parenthesis between Israel being set aside and the coming Tribulation, when God the Father will turn His full attention to the national salvation of Israel. But God will not let Israel go unpunished for their national rejection of Him. God said that He would try them as silver and gold is refined in the fire. Many will die, many will be saved, and many will proclaim Jesus as their Messiah. 3, And he shall sit as a refiner and purifier of silver: and he shall purify the sons of Levi, and purge them as gold and silver, that they may offer unto the LORD an offering in righteousness. The last seven years of this earth's history after the rapture of the Christian saints and before the glorious second coming of Christ are said to be the final week of Daniel's seventy-week prophecy (Dan. 9:24-27). During this seven-year period the great tribulation predicted by Daniel and Christ will occur. "He will confirm a covenant with many for one 'seven,' but in the middle of that 'seven' he will put an end to sacrifice and offering. And one who causes desolation will place abominations on a wing of the temple until the end that is decreed is poured out on him"
Notice that Israel is still a nation, even then. They have been through more wars such as Ezekiel 38-39, or Psalm 83, but Israel still stands, but by making a peace treaty with the prophesied Antichrist, they will realize half way through the Tribulation that they have made a deal with the devil when he enters the newly built temple of God and sits in the Holy of Holies and proclaims himself to be God in the flesh. The AC is not their national savior, but will become their risen Hitler on steroids. He will attempt to eradicate Israel and finish what Hitler only started, but he will ultimately fail. For God comes to fight for them and their enemies can only mourn their eventual destruction. The city shall be taken,The houses rifled,And the women ravished. Half of the city shall go into captivity,But the remnant of the people shall not be cut off from the city. As He fights in the day of battle.4, And in that day His feet will stand on the Mount of Olives,Which faces Jerusalem on the east. This is at the Battle of Armageddon and the King of kings and Lord of lords will come a destroy all rebellion upon the earth and save the remnant of national Israel. 11,“ Now I saw heaven opened, and behold, a white horse. And He who sat on him was called Faithful and True, and in righteousness He judges and makes war. 12 His eyes were like a flame of fire, and on His head were many crowns. He had[e] a name written that no one knew except Himself. 13,And he was clothed with a with a robe dipped in blood, and His name is called The Word of God. 14, And the armies in heaven, clothed in fine linen, white and clean,[f] followed Him on white horses. 15, Now out of His mouth goes a sharp[g] sword, that with it He should strike the nations. And He Himself will rule them with a rod of iron. He Himself treads the winepress of the fierceness and wrath of Almighty God. Israel will never be uprooted from her land again, as the Lord promised. They will be tried and purified, but those who survive the Tribulation as alive mortal men and women will go into the Millennium to repopulate the earth during the 1000 year reign of Jesus Christ. Amazingly, the Church will join Jesus Christ as the judges of the earth and those who have been killed during the Tribulation and raised to life and those that live during this Millennial reign. And Israel will become the center of the Kingdom of God with Jerusalem lifted high and all people of the earth will stream to Israel to worship the God of Abraham, Isaac and Jacob. “All the land shall be turned as a plain from Geba to Rimmon south of Jerusalem: and it shall be lifted up, and inhabited in her place, from Benjamin's gate unto the place of the first gate, unto the corner gate, and from the tower of Hananeel unto the king's winepresses. 3, Thus saith the Lord; I am returned unto Zion, and will dwell in the midst of Jerusalem: and Jerusalem shall be called a city of truth; and the mountain of the Lord of hosts the holy mountain. 4, Thus saith the Lord of hosts; There shall yet old men and old women dwell in the streets of Jerusalem, and every man with his staff in his hand for very age. 5, And the streets of the city shall be full of boys and girls playing in the streets thereof. 6, Thus saith the Lord of hosts; If it be marvellous in the eyes of the remnant of this people in these days, should it also be marvellous in mine eyes? saith the Lord of hosts. Israel is the centerpiece of Bible prophecy. Its existence and history are proof positive of the accuracy of Bible prophecy. To this point in the historical record, Bible prophecy -- where it can be proved at all -- has proved to be 100% accurate, 100% of the time. It continues to unfold before our eyes. We've only touched on the high points in the Big Picture, but the pattern is unmistakable. Events foretold to take place in the history of Israel and in a single generation, somewhere in time are happening now-- events that can only happen once -- are coming together -- all at once and in THIS generation. The same God that predicted what has already occurred with such unerring accuracy will continue to perform His Will until His Purpose is accomplished. Bible prophecy proves God is still on His Throne and is intimately concerned with the affairs of men. Yes, my reader, Israel will be tried, but a remnant will fill the earth with children and their children for a 1000 years. Israel will be the center of the Kingdom of God and Jesus will rule from Jerusalem and those who go into the Millennial Kingdom will never be afraid again for a thousand years. As God promised, Israel will NEVER AGAIN be uprooted from the land that God gave their forefathers. God made a promise to Abraham, and God keeps His promises...let God be the truth and all other liars. Remember, our God, the true God of Heaven, YHWH, the great I AM, that I AM will bring all that He has said come to pass. Best get on the side of God and His people. (33) So likewise ye, when ye shall see all these things, know that it is near, even at the doors. Israel being reborn is that fig tree that has blossomed, and Jesus proclaims His nearness when that happens. “Because thou hast kept the word of my patience, I also will keep thee from the hour of temptation, which shall come upon all the world, to try them that dwell upon the earth. Israel is in her land, never to be uprooted again, proclaiming because of her habitation of God's land that Jesus is coming soon...are you ready?